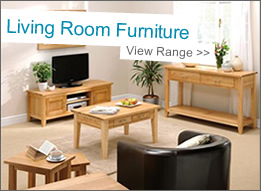 Oak Furniture, Oak Bedroom Furniture, Dining and Living Room. 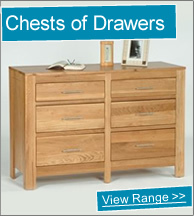 Welcome to our Oak Furniture website. When you’re looking for high quality, long-lasting furniture for your home, consider investing in pieces crafted from oak. Oak furniture brings a unique look to any room. Its lovely natural gain and exceptional durability make it a smart choice for prominent pieces throughout the house. Oak is a porous, open-grain wood. This offers a wide variety of beautiful possibilities when it comes to finishing oak furniture. In order to achieve a smooth finish, a filler may be used to fill in the pores of the wood. Using a stain of a different colour from the filler creates a lovely two-tone effect. Or oak may simply be finished to show off the natural wood grain. Regardless of finishing method, oak furniture is an attractive, popular choice for both everyday use and decorative pieces. Oak wood was used for furniture as far back as the Middle Ages, which is a testament to its timeless beauty. 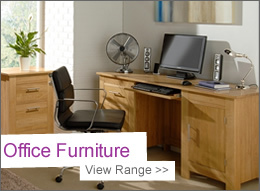 Oak furniture is some of the strongest furniture you can buy. The wood of the oak tree is very dense and can support a lot of weight without becoming damaged. This durability ensures that pieces made from oak will last a long time. 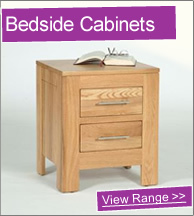 The sturdy nature of oak wood can be relied upon to safely store heavy items like dishes or books. 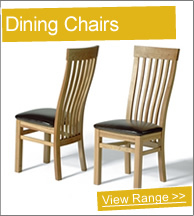 Oak is also quite resistant to moisture, retaining its strength where other woods may fail. This is especially important when it comes to storing or displaying decorative antiques and family heirlooms. In addition to being able to stand up to moisture, oak is naturally resistant to pests and decay. You won’t have to worry about the beauty of your oak pieces being destroyed by fungal growth or insect infestations. Large pieces like bookshelves, chests, and desks benefit from oak construction, as oak is much less likely to bend or warp when compared to the cheap imitation “woods” that are on the market today. A solid piece of oak furniture that is treated well can last for many generations. 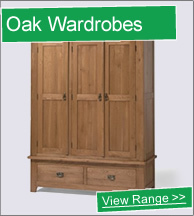 Oak grows more slowly than woods like pine, a difference that is often reflected in the price of oak furniture. However, given its strength and ability to withstand things that other woods can’t, oak is a sound investment for your home furnishings. The nature of oak is such that you will be able to enjoy all your favourite pieces in your home, your children’s homes, and even your grandchildren’s homes. Investing in oak now pays off in the long term. We have one of the best ranges of oak furniture available for delivery in the U.K. Our oak bedroom furniture includes a wide variety of different styles, finishes and designs of oak wardrobes, oak chest of drawers, oak bedside tables, oak beds and oak dressing tables. We display solid oak furniture which has been designed and built to last, so that you can enjoy your furniture for many years to come. Many people enjoy owning good quality furniture made from oak, with some of the most popular pieces including oak sideboards and oak dining tables. 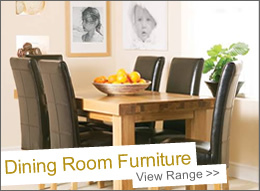 Oak furniture makes a lovely addition to any home. By investing in the beauty of oak, you’ll be creating a classic look that will remain attractive even as trends change.